Banks today are facing an imbalance between the need to prevent fraud and deliver positive customer experiences at the same time. When it comes to international payments, friction between customer experience and fraud prevention can quickly move from a minor inconvenience to a full-scale roadblock. Banks today are facing an imbalance between the need to prevent fraud and deliver positive customer experiences at the same time. Much has been stated about the need for an effective balance in ecommerce following cases of card not present fraud. However, when it comes to international payments, friction between customer experience and fraud prevention can quickly move from a minor inconvenience to a full-scale roadblock. A result of simply a disproportionate amount of fraud coming from abroad, the challenge for banks is not a simple one. Criminal gangs are stealing personal payment data and initiating fraudulent purchases overseas. According to data from Financial Fraud Action UK, 33 percent of credit card fraud on UK issued cards in 2015 happened abroad, up 25 percent year on year. Due to the significant increase in threat from abroad and because the vast majority of nationals pay for things at home, fraud prevention, on payments initiated outside of the home nation, can often have a completely unintended result. Even when customers inform their banks that they are travelling, often little changes on the bank’s fraud systems. This can result in legitimate transactions, made by a customer travelling abroad, being blocked. The cost to banks of losing a customer’s money to fraud is so high that almost any activity marked as suspicious by crime prevention systems, results in sometimes inconvenient and embarrassing blocks on transactions. There have been efforts to resolve these issues, particularly in the US with apps that enable customers to turn their own cards on and off. However, this doesn’t solve the core challenge when travellers are abroad, as many will shy away from using data hungry apps for fear of mobile roaming costs incurred. The issue is fourfold. The customer can’t spend their money, the merchant misses out on payment, card issuers can lose out on top wallet status, and the bank has to deal with the cost implications and frustrations from the customer. The challenges in making experiences better are ultimately about technology. Existing solutions either are not accurate or effective enough. There are a number of immediate pain points that could be resolved by applying a mobile first solution. The biggest pain point consumers talk about when they have their card blocked, is the frustration and struggle around getting the issue solved. Often forgotten however, is the cost. Customers want access to their accounts as fast as possible, but the cost of this can quickly rise – a long expensive phone call to a bank back home is typically step one. In addition, for the bank, every minute of interaction with a customer and any subsequent actions costs both time and money. The final challenge is not unique to banking – it’s about understanding customers. Regular business travel is not an uncommon requirement for many jobs, yet even frequent flyers have had their cards blocked by banks when travelling abroad. For these individuals, international travel is relatively normal, but their banks are either overly sensitive to fraud, or simply don’t have an understanding or, more importantly, access to information on individual customer behaviours. With a growing number of the global population taking regular foreign trips, and relying less on cash, a more user-friendly solution to overseas card fraud prevention is essential. The one thing that unites these pain points is authentication. At the moment, if someone gets their card blocked whilst travelling, the bank will typically contact the customer and look to re-authenticate the individual. However, the one change that we’ve seen that could potentially present a means to solve this issue is the mobile phone. It presents a highly viable solution because of its global ubiquity. Although we all have different makes and models, the underlying technology is essentially the same – a small GSM communications device. Of course, data connections can be hacked, but communication solely via GSM can be made secure if carried out effectively. 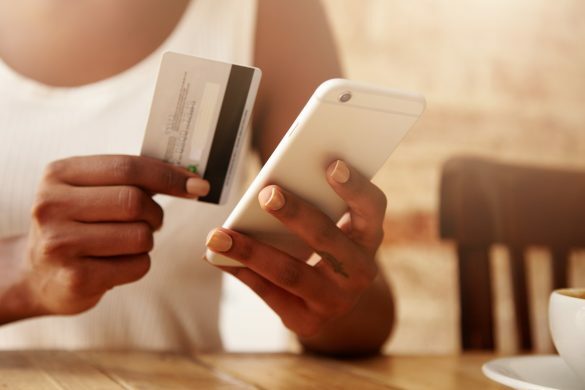 Unstructured supplementary service data (USSD) for example enables phones to communicate directly with a server (not over a data connection), meaning no third party can access payment or compromising details. With global mobile phone penetration higher than that of toilets according to the UN, the mobile phone presents a compelling solution. Mobile and USSD are already proven solutions in this space – widely used in mobile wallets such as Orange Money and M-Pesa in Africa. 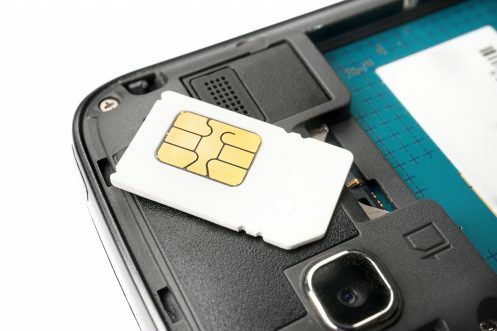 Leveraging the functionality of technology such as USSD to dip into real-time mobile network data to ascertain SIM location and device ID could potentially work to improve customer engagement and communication. When someone arrives in a new country for example, they could receive a push notification to enter a unique code to confirm that they are truly there. On doing so – their card could move onto a ‘no-block’ list. Push notifications from technologies such as USSD can also come at little to no cost to the customer or bank – saving both money as a result. It would also remove the need for customers to turn on roaming, send SMS messages or make long phone calls to call centres back home, just to use their own money. A frictionless mobile solution will not only improve engagement but produce big savings. Mobile presents a viable alternative to an issue that is typically dealt with as one of security – which doesn’t deal with the whole problem, just the source: in this case fraud. Preventing fraud is important, but it needs to be done in a way that isn’t at the expense (financial and emotional) of stakeholders, be it customers, merchants or banks. In short, mobile presents a compelling solution to reducing friction caused by technology issues. Fraud prevention is one of the biggest challenges banks and financial institutions face, however, by looking at it from the perspective of engagement, solutions can be developed that ensure security and remove any doubt as to whether it is a customer or a fraudster using a bank card.